Why not bring some goodness of melodious tunes and plenty of chirpiness in your indoor? Thank you Ms Sabita, for hosting this beautiful woodland splendor. "It was more than I imagined after styling my space with Gulmoharlane cushions. The sensual texture of the fabric, done with combination of art and passion effortlessly creates a dramatic as well as unique setting of the overall space. The fragile little birds and the weaved line design all over the cushion made me create an environment with junglow style look with greens and the outcome was spectacular, spreading my love of nature with perfect backdrop. 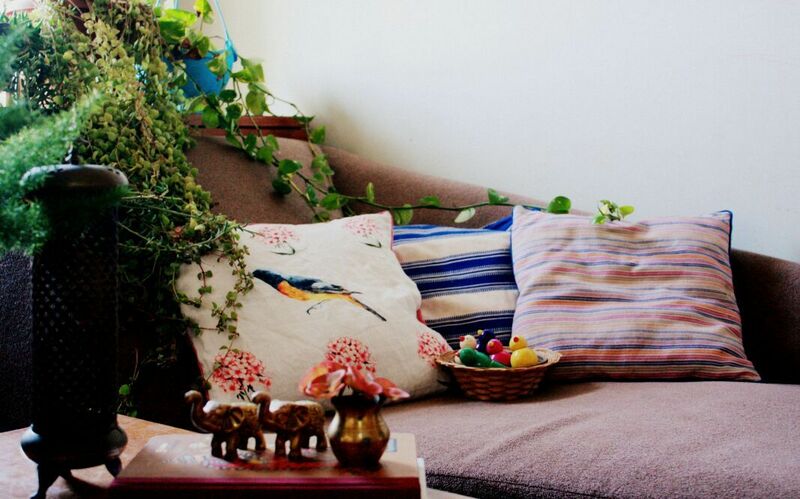 The bird and the details over the cushion drenched my living space look grand. Thank you team for this exaggeratedly designed covers."